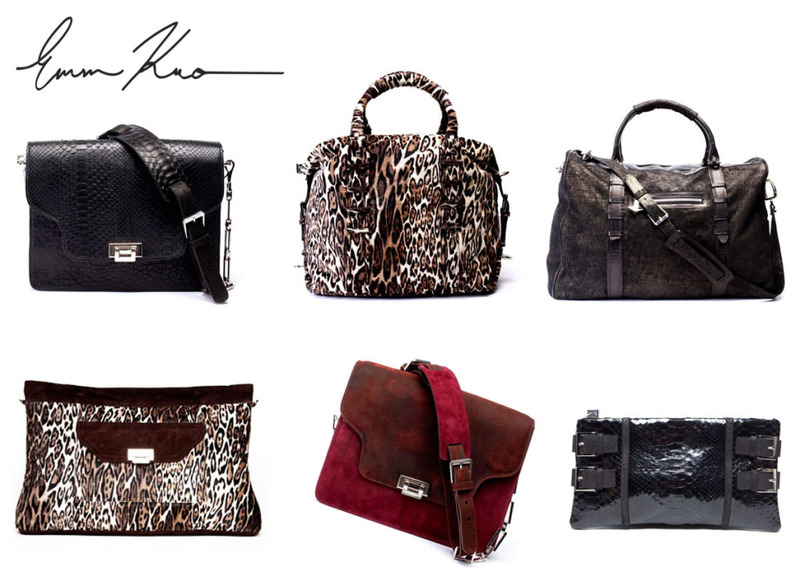 Check out Emm Kuo's Fall Collection of handbags. I'm a Big fan of leopard (painted pony hair) , exotic skins (python and suede) and vibrant rich colors (burgundy/deep red). These pieces are beautiful and would make the perfect accessory this Fall. Available at Condor, Milk Boutique, 11th Moon, Dagny & Barstow and Emm Kuo's online store soon!